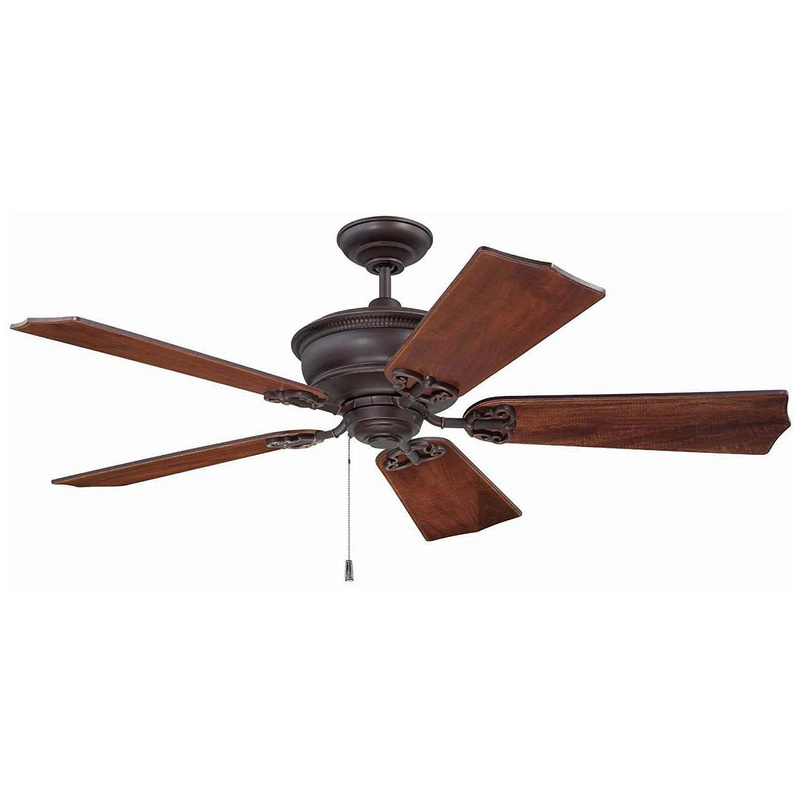 Craftmade Monaghan Contemporary ceiling fan has five 52-Inch blades to effectively circulate air in large spaces. This fan has oiled bronze gilded finish housing for corrosion resistance. Blade has pitch of 13-degree. It has voltage rating of 120-Volts. Fan has AC motor for efficient performance. It is suitable for indoor use. It is dual mountable. Fan is cULus listed.